My house is in total entertainment mode in the month of December. There are lots of fun ways to entertain around the holidays. Having finger foods is a plus to keep guests’, appetites satisfied. Having the traditional cheese boards or pigs in a blanket is fine but being a little more creative stands out. 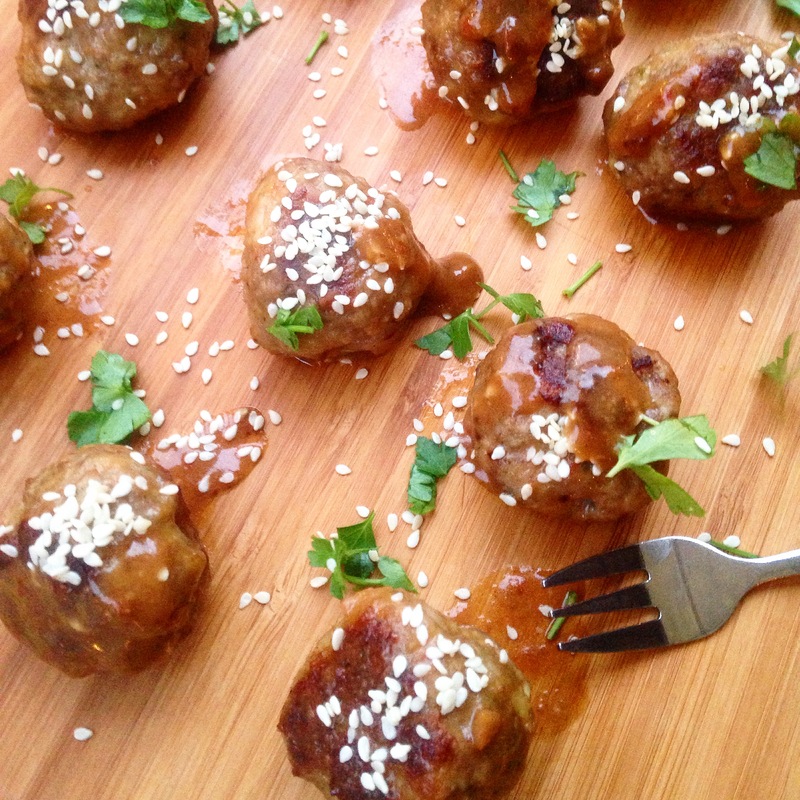 These little guys are perfect, Thai meatballs are super easy to make as well. The flavors these meatballs pack will leave your guests wanting more. Enjoy! Preheat oven to 400 F degrees In a medium bowl mix all the ingredients besides Thai peanut sauce. Form golf size balls or smaller. Bake in the oven for 20 minutes until golden brown. Half way through shake the pan a bit. Once done toss the sauce with meatballs place back in oven for 2-3 minutes. Place on serving dish and top with sesame seeds and cilantro. Yum! These look so good, and easy to make. That’s a great thing to have when you’re busy around the holidays. Hmmm…have two parties to go to this weekend and have been looking for something to bring and I think these will be absolutely scrumptious! I love this idea for meatballs! Great post. Fantastic post,the meatballs looks luscious.Happy new year.